Making players walk the line between caution and courage works well enough for a time, but sooner or later things do start to plateau for Amnesia – when you’ve survived a few encounters without worry then you start to recognise that The Dark Descent isn’t quite as intimidating as it appears. 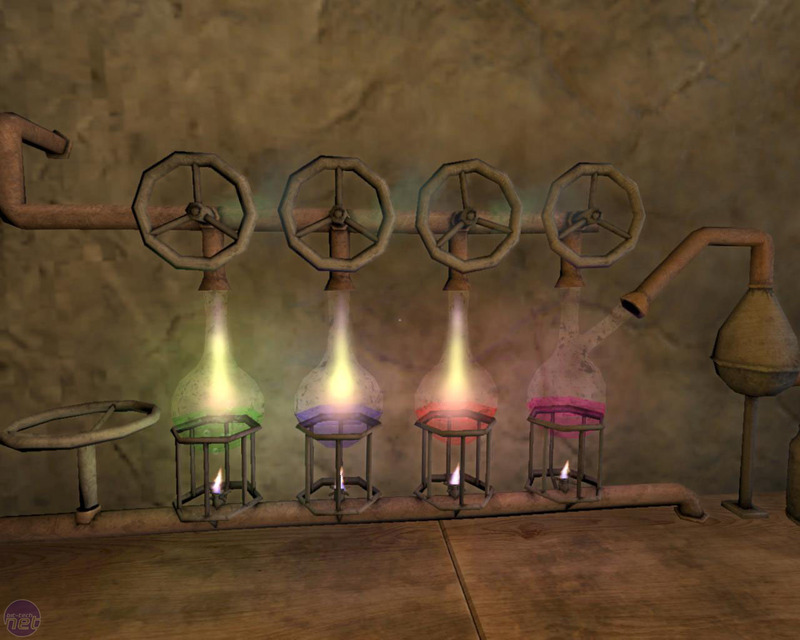 The three main resources that you rely on – tinderboxes for sparking static lights throughout the levels, oil for your lantern and oddly incongruous ‘sanity potions’ to repair your psyche – can be found in over-abundance once you know where to look, removing much of the challenge. Frictional have countered this by putting caps on how much of each that you can carry, but in truth this feels a like an obvious and out-of-place videogame conceit that we’d rather do without. If there’s room in my inventory to carry at least twenty items then why am I limited to holding five sanity potions at once? Write it down, so you don't forget! Other chinks in the armour start to appear the further you advance too, such as levels starting to run together indistinguishably thanks to a lack of environmental variety, which is exactly what you don’t want in a game about exploration. Lack lustre voice acting is the other major problem and, though it’s understandable given the indie origins of Amnesia, it still detracts from an experience which otherwise appears to have high production values. Frictional has used an updated version of the same engine used for the Penumbra games, which still looks great even a few years on. Textures are crisp and detailed and, most stunning of all, levels are fully interactive thanks to Frictional’s clever physics system and input method that literally lets you reach out and touch items in the game world. If you want to open a chest or cupboard then you’ll need to actually reach out with your cursor, click and drag the lid how you want it. Most of the puzzles in the preview build we got to play were based around manipulating the environment in this way, whether clearing doorways or turning cranks. All of this will be old-hat to anyone who’s played any of Frictional Games’ earlier games (and if you haven’t then we recommend trying a demo, as it’s best experienced first hand), but it’s the matter of piecing the story together which forms the main draw of Amnesia. Frankly, we’re anxious to get our hands on the full game just so we can get to the bottom of the mystery and find out for sure who the player character is, why he’s lost his memory and why he’s been tasked with murdering a man hidden in the castle. Oh, make me a Pina Colada while you're at it? Just beneath the surface though, we do have a few tentative worries about Amnesia. We’ve said it doesn’t do anything wholly new or interesting compared to Frictional’s previous games and that’s fine from what we’ve seen so far as Amnesia is still scary and compelling, save for a few balancing and pacing issues. That sentiment is based only on the section we’ve seen though and our worry is that it could become a more pressing issue if Amnesia runs on too long or fails to introduce any later changes. We’d hate to think we’ve seen everything in just the preview. Still, much of that worrying is speculative and the reality is that, from what we have seen, Amnesia is shaping to be a genuinely scary and intriguing first-person adventure. It may have some rough corners that need to be polished off and the puzzles may be of a fairly illogical nature (making your own acid to burn through obstacles of strange, gooey flesh, rather than just burning through with plentiful fire, for example), but Amnesia is definitely a game we’re looking forward to playing in full. If we remember. 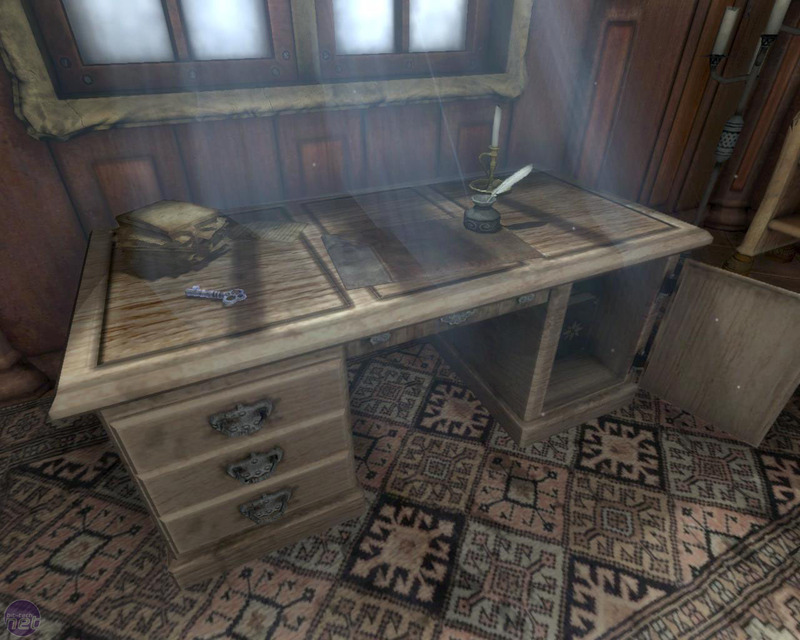 Amnesia: The Dark Descent is being developed for PC by Frictional Games and will be released in August 2010. A Machine For Pigs is eloquent, elegiac and definitively horrifying, but damaged by overly-restrained systems. Joe's been scared senseless by Frictional Games' latest game. Find out why in our review.